Yesterday I visited the Hilton Garden Inn in downtown Phoenix to see my sign. It's the original sign from the building, from 1931, and I'm glad to see it finally make its way home. My fascination for this building started in 1992 when I worked for Bank One in what is now the Chase Tower on the northeast corner of Central Avenue and Monroe. Our department, on the 31st floor, looked out over a very interesting old building, which I asked about, and very few people knew anything about. It was all boarded up, abandoned, and dirty, and since it was Art Deco, and I'd always had interest in art and architecture, I started asking around. 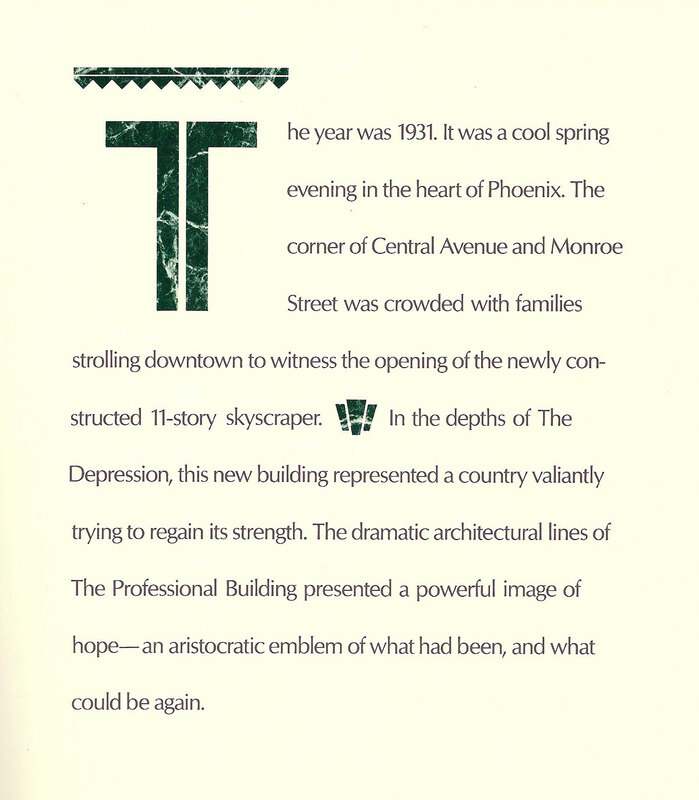 There were still a few people around who remembered it, and even remembered working in it, when it was called "the Annex". 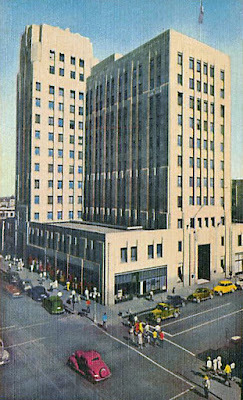 It was the original headquarters for Valley National Bank, which became Bank One, and is now Chase. 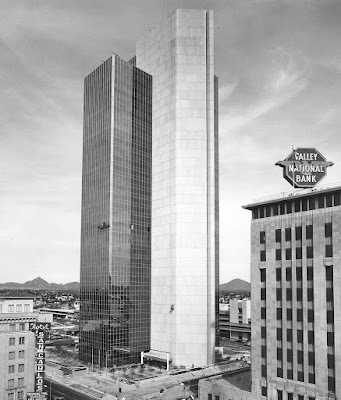 But it 1973, when Valley Center (Chase Tower) was built, it became just another old building. 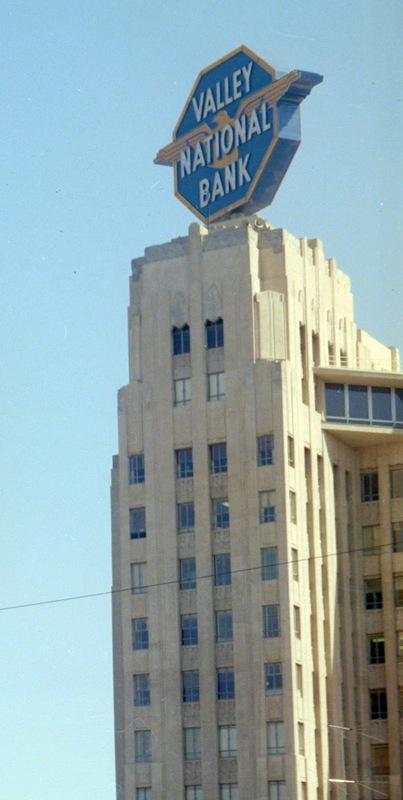 From what I understand, it was still being used by Valley Bank, a little, through the 1980s. I'm a Graphic Designer, and a frustrated architect (I couldn't do the math), so I spent a lot of time wandering around downtown Phoenix looking at all of the buildings, both old and new. 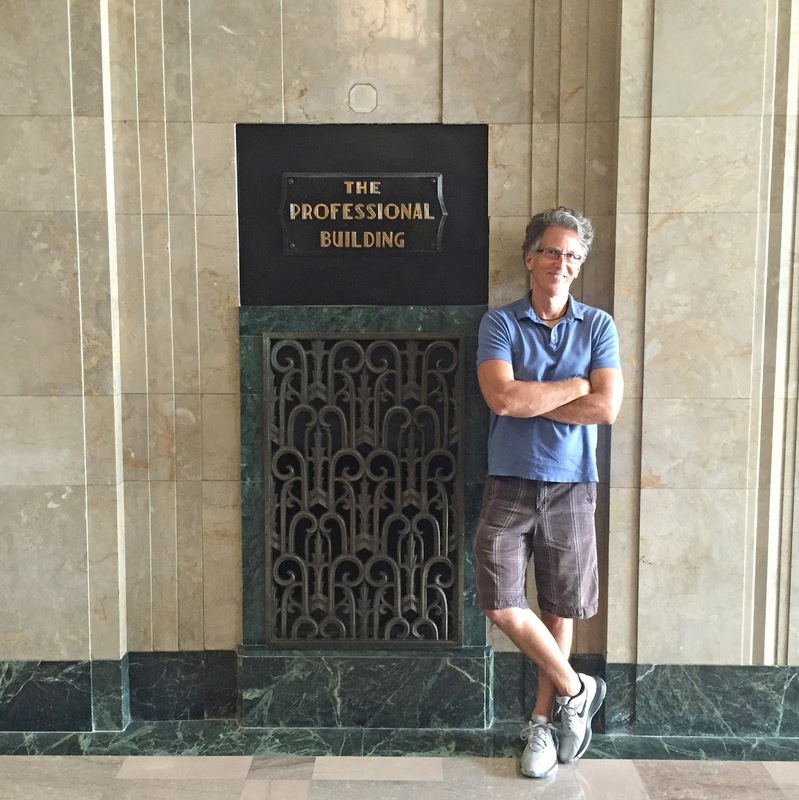 And by far my favorite is what I learned was originally called the Professional Building, built in 1931. 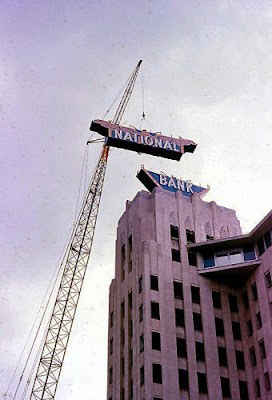 If you lived in Phoenix anytime between 1958 and 1973, you will remember a giant rotating neon sign that said "Valley National Bank". 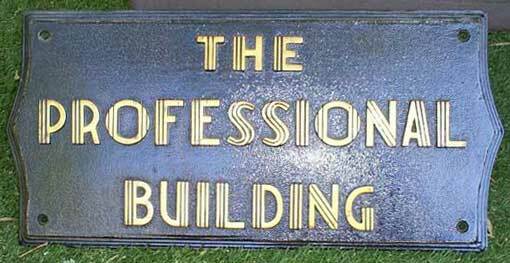 I have a lot of photos that show that, but I don't have anything that shows where the little sign that I had, which says "the Professional Building" was. Presumably it was inside, but I have found very few photos of the inside of the building. I'm still looking! 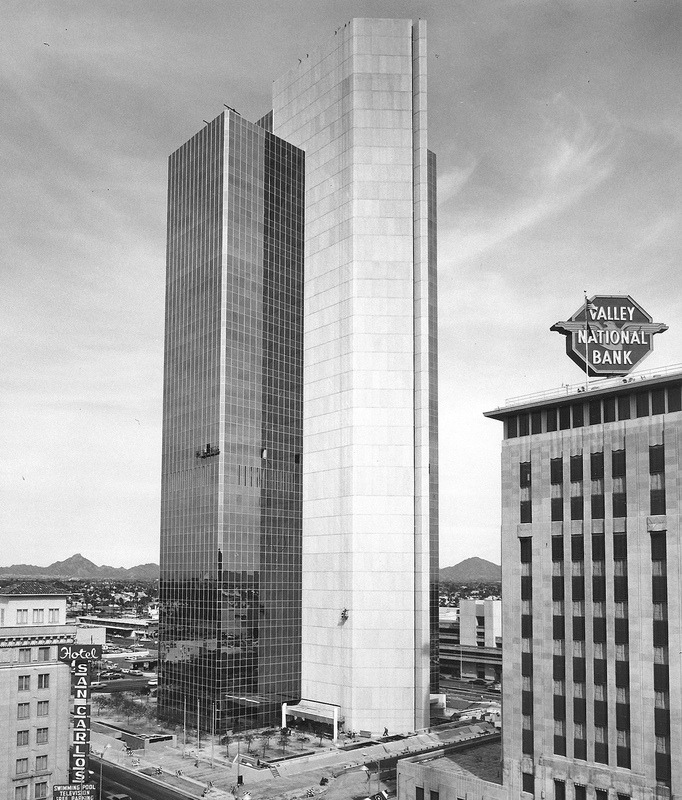 The Professional Building in the 1960s, headquarters of Valley National Bank. This was the largest rotating neon sign in the world, in the Guinness Book of World Records, and in 1973 it was dismantled and junked. The Valley Bank sign being removed from the Professional Building in 1973. The Professional Building sign came into my possession because of one of the printing sales reps who visited our department regularly. He had been working for Valley Bank for decades before I met him, and he saw the old building being abandoned. He told me all about it, and that when the beautiful art deco interior was torn out, everything was just dumped to be hauled away. So he asked if he could load some stuff in his truck and take it home. 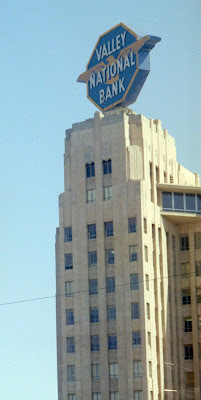 He took what he could, including an art deco clock that he often spoke of, and two Professional Building signs. In 1994, he gave me one of them. I've watched several failed attempts to restore the Professional Building. Each time I've offered the sign, with the promise that it remain on public display. In 2014, I handed it over, and watched again. After a couple of years I decided that I would see if it had gotten lost, so I went through my old emails and contacted people who referred me to people who referred me to people, and I thought that it was gone forever. It seems a shame for it get lost in the confusion of another failed attempt to restore the building! But this time the restoration has not been a failure. The Hilton Garden Inn opened this year (2016) and the finishing touches included putting the sign up in the area by the elevators. I'm glad to see the building being restored and used again, and I'm glad to see the sign come home again.